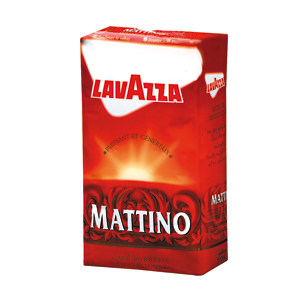 Lavazza Mattino, from the fridge. 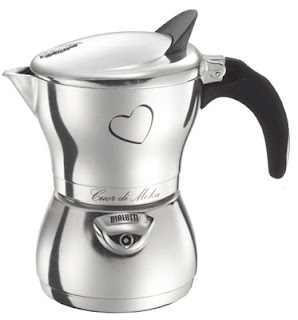 In the Bialetti Cuor di Moka, nearly filled with coffee. With half a teaspoonful of Van Houten Cocoa powder (not mixed in). One large sugar lump in a glass, sprinkled with a little cinnamon. Hot coffee is poured over it. Single cream to the top of the glass. A little beverage fetishism after lunch.